Harnessing the power of its members, PRFI advocates for responsible financial services and seeks catalytic opportunities to accelerate financial access to the unserved. Formed in 2011, the Partnership for Responsible Financial Inclusion (PRFI), formerly the Microfinance CEO Working Group, is a collaborative effort by leading international organizations working to advance financial inclusion around the world. Our mission is to accelerate financial inclusion by leveraging our joint expertise in the advocacy and delivery of innovative, scalable, and responsible financial services for poor and low income clients. PRFI consists of the leaders of ten international microfinance organizations: Accion, Aga Khan Agency for Microfinance, BRAC, Care, FINCA International, Grameen Foundation, Opportunity International, Pro Mujer, VisionFund International, and Women’s World Banking. The Center for Financial Inclusion at Accion in Washington, D.C. currently serves as the Secretariat of the Partnership for Responsible Financial Inclusion. 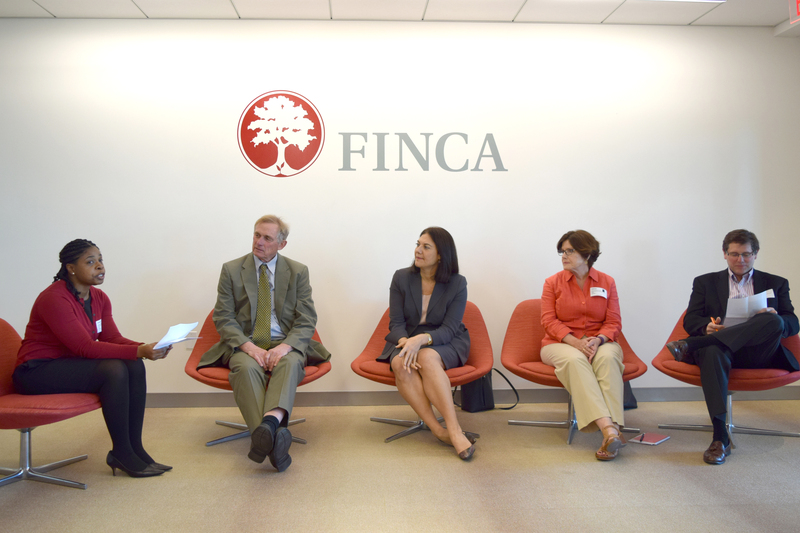 PRFI members gather for a Month of Microfinance event at FINCA International offices, 2016. 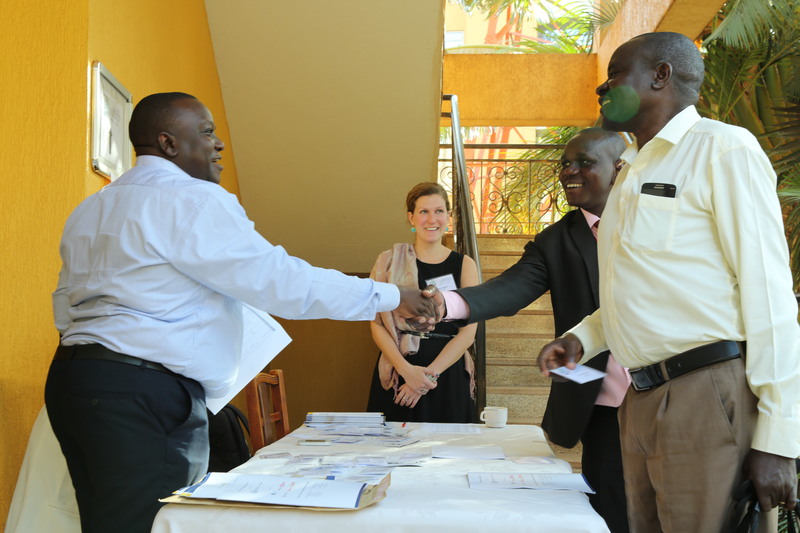 PRFI hosts a convening of financial inclusion stakeholders in Uganda, January 2017. Visit the PRFI website to learn more about its activities, publications and accomplishments. Guided by the belief that every life has equal value, the Bill & Melinda Gates Foundation works to help all people lead healthy, productive lives. In developing countries, it focuses on improving people’s health and giving them the chance to lift themselves out of hunger and extreme poverty. In the United States, it seeks to ensure that all people — especially those with the fewest resources — have access to the opportunities they need to succeed in school and life. Based in Seattle, Washington, the foundation is led by CEO Sue Desmond-Hellmann and Co-chair William H. Gates Sr., under the direction of Bill and Melinda Gates and Warren Buffett. Citi Inclusive Finance is a specialist team that works across Citi businesses globally to develop solutions that enable the bank, its clients and partners to expand access to financial services and advance economic progress in underserved market segments. Urbanization, digitization and globalization are presenting new opportunities to accelerate the pace of financial inclusion. Leveraging cross-sector partnerships and innovative approaches, Inclusive Finance embeds investments that make a social impact into Citi’s core businesses to the benefit of clients and communities. Learn more at www.citiinclusivefinance.com. IFC, a member of the World Bank Group, is the largest global development institution focused on the private sector in emerging markets. Working with 2,000 businesses worldwide, we use our six decades of experience to create opportunity where it’s needed most. In FY16, our long-term investments in developing countries rose to nearly $19 billion, leveraging our capital, expertise and influence to help the private sector end extreme poverty and boost shared prosperity.